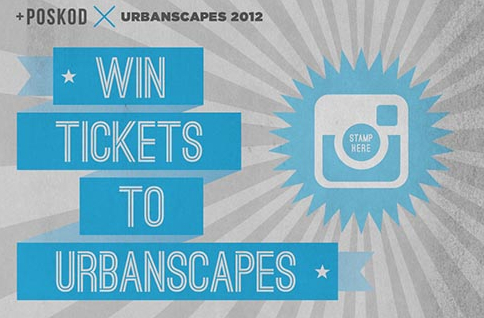 As November kicks in, we’re all counting down to one event – Urbanscapes! This year’s festival, on 24-25 November, promises to be one of the biggest music and arts events of the year. With headliners Sigur Rós and Yuna, as well as local favourites like the Impatient Sisters, OJ Law, Darren Ashley and Pastel Lite, it’s a weekend not to be missed. Please note: only #poskads uploaded between 4 November and midnight 10 November will be entered into the competition. The best 8 #poskads will be displayed in our online gallery, and the Poskod team will pick one winner. Could that be you? There’s only one way to find out… get snapping! For ideas and inspiration of other #poskads, check out this week’s gallery.